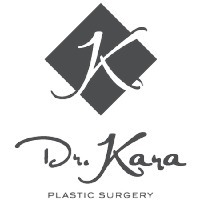 Dr. Kara Plastic Surgery is based in Toronto, Ontario. We specialize in beautifying treatments that have faster recovery and longer lasting results. We are specialists in cosmetic breast surgery, particularly 24-hour rapid recovery breast augmentation and breast lift without vertical scarring. With an emphasis on patient safety and education, we take extra time to make sure that all of your questions are answered and that your personal goals for cosmetic surgery are fully realized.